Early help for mothers of premature babies dramatically cuts their very high risk of long-term depression, a world-first study published in the journal Pediatrics has revealed. Led by the Women’s, the study found that mothers of pre-term babies are five times more likely to suffer symptoms of depression eight years after the child’s birth (one in four), compared to mothers of healthy full term babies. However, the new comprehensive study followed families of very premature babies for eight years and found that those mothers who received additional training and support in the first year had the same risk of long-term depression as mothers to healthy term babies (one in 20). The study is the first to look at the long-term mental health of parents of pre-term babies. Lead researcher Associate Professor Alicia Spittle detailed the research on the ABC 7.30 Report last night, and said parents of premature babies were at much higher risk of depression due to concerns around their child’s risk of long-term health side-effects caused by a child being born early. The study, undertaken in partnership with the Murdoch Childrens Research Institute, found that one in four mothers reported signs and symptoms of depression eight years after the birth of their preterm child. However, it found just five per cent of mothers that received additional support in their baby’s first year of life experienced depression eight years on – a similar rate to mothers of babies born healthy at term. They also suffered lower rates of anxiety. 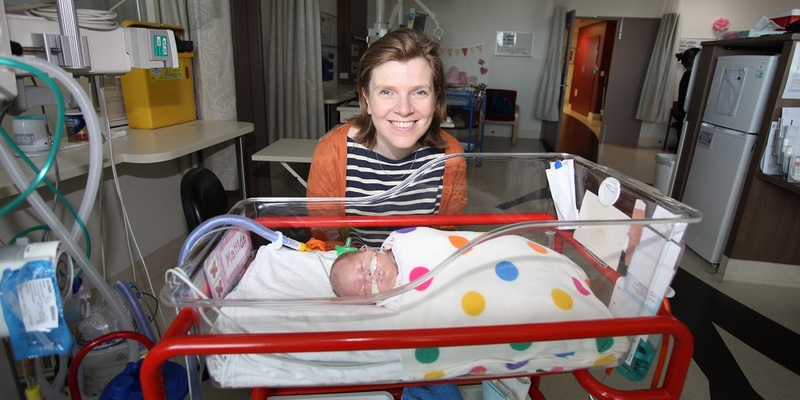 Researchers provided additional parental training, including physiotherapy, psychology and other supports to 61 families through nine visits in the first 12 months after their premature baby was born. They measured the parents’ mental health, and the child’s development and behavior at two, four and eight years of age, comparing the results to a control group. “Children born premature are at much higher risk of long-term developmental and behavioral problems as a result of their early birth. This causes parents a huge amount of anxiety and concern. They often feel overwhelmed and unsure of how they will support their child, which leads to higher rates of both depression and anxiety,” Associate Professor Spittle said. The study also found children involved in the program had significantly improved behaviour at two and four years of age, but by their eighth birthday their behavior was similar to other children born premature. The study did not find any benefit to the intellectual development of premature babies long-term. Simone Saunder’s son Noah, now 10, was born at 29 weeks at the Women’s and she didn’t know if he was going to survive. “We brought him home after three and half months but he would often stop breathing without warning. I remember standing over his cot at 2am worried he would stop breathing,” she said.